Lightweight construction gives this shock tower incredible stiffness and durability. Great opportunity to get your TA02 some hop-ups. It will add stiffness to your car. All other screws are included. 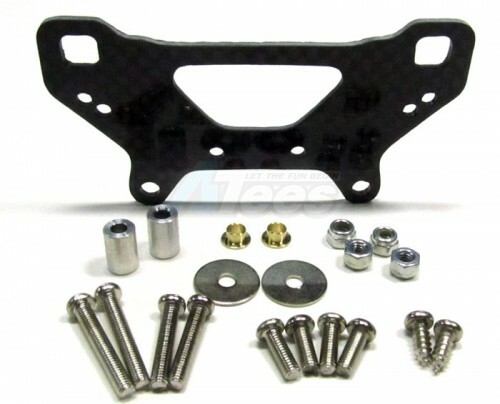 The Tamiya TA02 Graphite Rear Shock Tower W/ Collar Black has an average rating of stars based on 6 customer reviews. Incredible product looks great too. Very nice item - black design. Perfect fit.